Carolinian (pop. 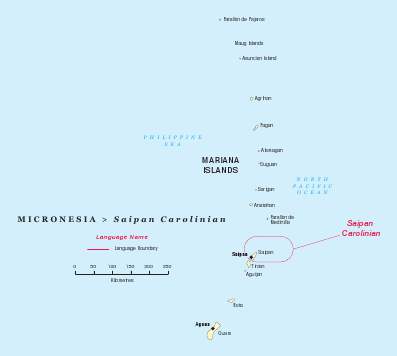 3,000) is a Micronesian language, part of the Carolinian language continuum. 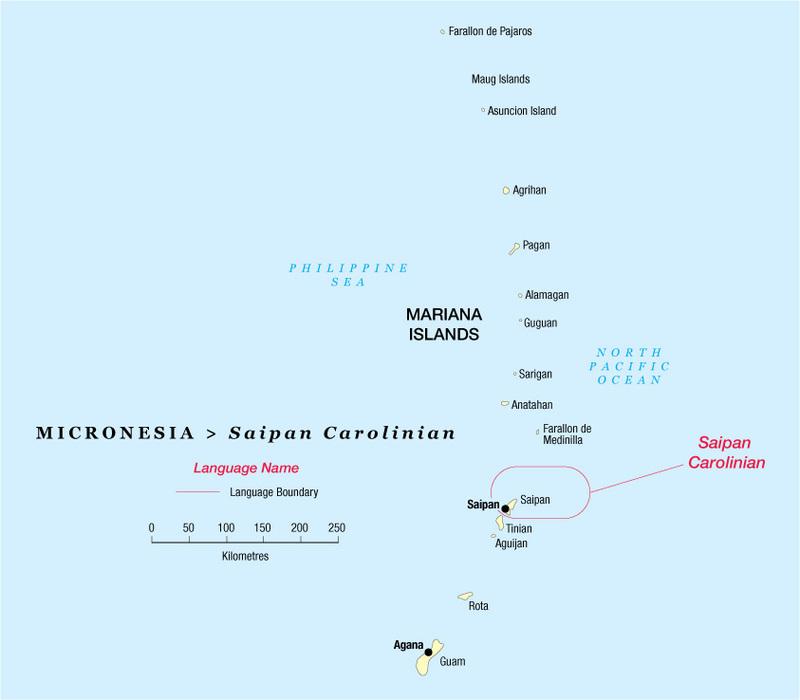 The Carolinian language spoken in the Mariana Islands originates, as the name clearly indicates, from the Caroline Islands far to the south. Migrations have mainly come form the outlying islands of the Yap and Chuuk States of Micronesia. Saipan is an urban environment, so the Carolinian and Chamorro languages spoken there are under strong pressure from English. The Carolinian language manages to preserve viable dialect differences, reflecting the various islands the people have migrated from. Isles of the Sea translation advisor Cameron Fruit is assisting a small but dedicated team of Carolinian translators. 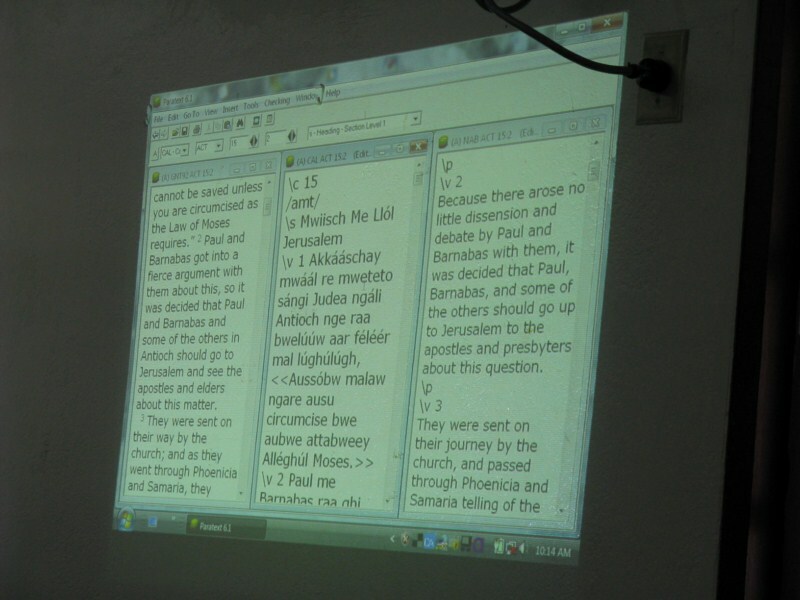 The New Testament is progressing well with all of the books drafted and going through various stages of review. The NT is expected to be published in 2014 or 2015. A trial edition of the New Testament in Carolinian has been printed. This will allow people to get a taste of the translation and give feedback, before the translation is finalised. 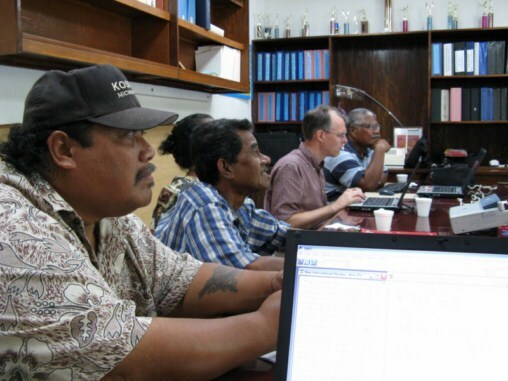 Carolinian New Testament translation completed!